Alateen provides a safe place for young people affected by someone else’s drinking to share their own experience, strength, and hope with each other, and to learn how to apply the principles of the Al Anon/Alateen programme to their lives. 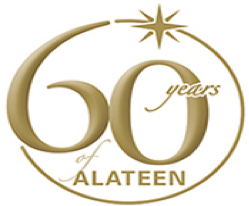 Alateen Group Sponsors are Al-Anon trusted servants who have gone through an accreditation process in their Area to become Al-Anon Members Involved in Alateen Service (AMIAS). They give their time to be sure that our younger members have a meeting to attend. The first step is to contact your Area Alateen Coordinator or Area Member Services Coordinator who can provide you with the necessary information on the accreditation process. This includes obtaining a Fingerprint Clearance Certificate/ Police Clearance Certificate, completing the necessary forms, undergoing a short interview process and reading the South African Alateen Safety and Behavioural Policy and Procedures Manual. Alateen groups may be requested by professionals, parents, teens, A.A., and/or Al-Anon members. A preliminary step to starting a group is having a pool of Area accredited AMIAS available to serve as the Alateen Group Sponsors and as substitutes/backup for the primary Alateen Group Sponsors. Alateen groups cannot meet without at least two accredited AMIAS present. The Area Alateen Coordinator, Area Member Services Coordinator or Area Office Administrator can provide the necessary Registration and Indemnity Forms as well as all other information for launching new Alateen groups. Referring to the WSO guidelines for starting an Alateen Group: http://al-anon.org/members/alateen/starting-an-alateen-group as well as reviewing 'Starting an Alateen Group' (G-19) and the 'Alateen Policy' section of the Al-Anon/Alateen Service Manual (P-24/27), would be helpful.